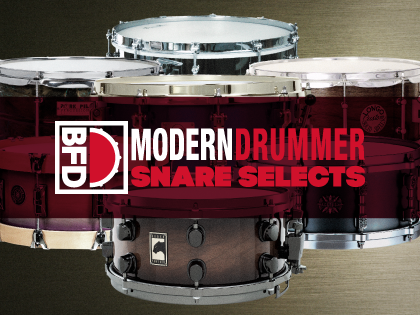 BFD Modern Drummer Snare Selects is an expansion providing 12 premium and boutique snares for your BFD3, BFD Eco and BFD2 installation. 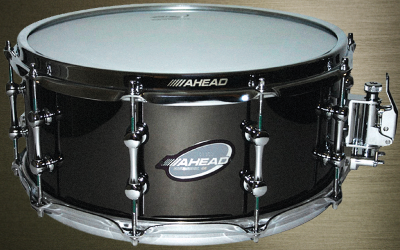 The included snares were all awarded 'Snare Drum of the Month' status by Modern Drummer magazine and represent some of today's most cutting-edge metal and wood shell designs. Recorded with expressive detail levels, the instruments are all provided in snares-on versions along with selected alternate sounds with brushes, rods, hands and with snares off. When used in BFD3 and BFD2, an additional 'rim click' articulation is available as well as a 'half-edge' articulation for use with electronic drum positional sensing.